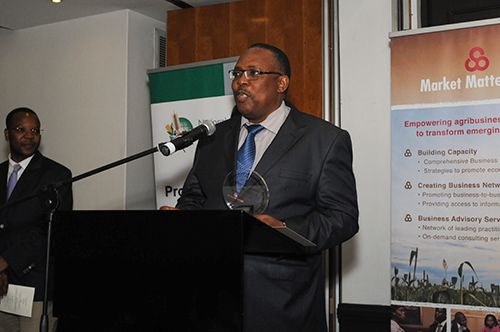 Mahenye Muya started SATEC, a family-owned and -operated business, in 1996. 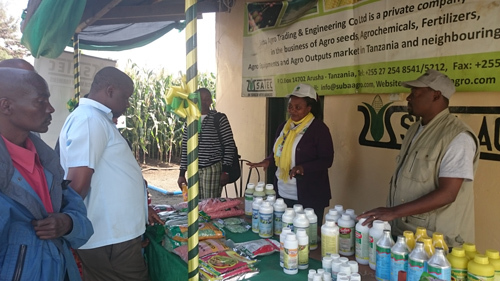 The Tanzania-based company started out by selling seeds, fertilizers and other inputs, and after its initial success, it has grown into one of the leading seed and agro-chemicals companies in Tanzania. SATEC’s mission is “To become the leading partner in transforming small scale farmers in Tanzania into world-class level”. Along with its success, SATEC has also increased its number of employees, from a mere 2 at the start to the current 89 permanent staff and approximately 200-250 seasonal workers. The company supplies over 300 agrodealers across the country and is now producing 2000-3000mt of seeds per year. – SATEC has designed and implemented an innovative marketing and promotion system for agro-inputs, which has contributed to an increase in farmers’ adoption rate of improved inputs from 5% in 2001 to more than 20% in 2013 in SATEC’s markets. – SATEC established its own agro-processing and commodity trading company, FRASAL Intertrade, which is running a highly successful contract farming scheme for small scale sesame seed farmers. The company is looking to duplicate this successful program with sunflowers and sorghum in the near future.